A commercial plane with 307 people on board crashes and bursts into flames as it lands at San Francisco, killing two people and injuring more than 180. 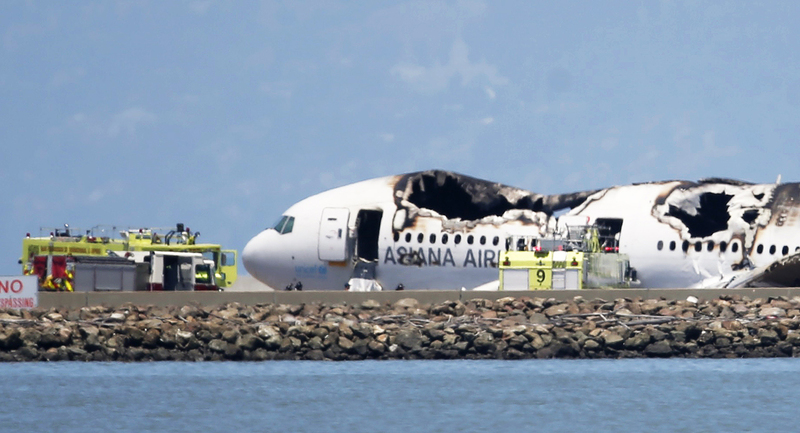 Witnesses to the Asiana Airlines Boeing 777 crash said the tail of the plane appeared to hit the approach area of the runway, which juts out into San Francisco Bay, as it came in for landing. The tail came off and the aircraft appeared to bounce violently, scattering a trail of debris, before coming to rest on the tarmac. Pictures taken by survivors immediately after the crash showed passengers emerging from the wrecked plane. Thick smoke then billowed from the fuselage, and TV footage later showed the aircraft gutted and blackened by fire, with much of its roof gone. 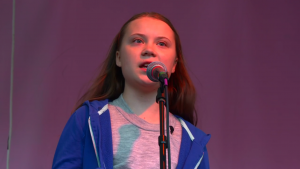 There was no immediate indication of the cause of the accident, and federal officials were traveling from Washington to investigate. One survivor said the pilot seemed to be trying to gain altitude just before the crash. Asiana Airlines said it did not appear that the crash had been caused by mechanical failure although it declined to blame either the pilot or an error by the control tower. The two dead were both teenage female Chinese nationals who had been seated at the rear of the aircraft, according to government officials in Seoul and Asiana. “For now, we acknowledge that there were no problems caused by the 777-200 plane or (its) engines,” Yoon Young-doo, the president and CEO of the airline, told a media conference on at the company headquarters on the outskirts of Seoul. Asiana said the flight, which had originated in Shanghai, had carried 291 passengers and 16 crew members. Most were Chinese, Korean and U.S. nationals. Dale Carnes, assistant deputy chief of the San Francisco Fire Department Chief, said two people were killed in the crash, and 49 were transported immediately to area hospitals with serious injuries. Another 132 people were later taken to hospitals with moderate and minor injuries. Five people were in critical condition at San Francisco General Hospital, according to spokeswoman Rachael Kagan. She said a total of 52 people were treated for burns, fractures and internal injuries. Three people were in critical condition at Stanford Hospital. The crash was the first-ever fatal accident involving the Boeing 777, a popular long-range jet that has been in service since 1995. It was the first fatal commercial airline accident in the United States since a regional plane operated by Colgan Air crashed in New York in 2009. San Francisco International Airport, a major West Coast hub and gateway to Asia, was shut down for several hours after the crash and flights were diverted to Los Angeles, Seattle, Oakland and San Jose. By late afternoon two runways had reopened even as scores of safety workers scoured the airfield for debris. Survivor Benjamin Levy told a local NBC station by phone he believed the Asiana plane had been coming in too low. He said he opened an emergency door and ushered people out. “We got pretty much everyone in the back section of the plane out,” he said. “When we got out there was some smoke. Photos and TV images showed that emergency chutes had been deployed from at least two of the aircraft’s exits. Vedpal Singh, a native of India, was on board the flight along with his wife and son when the aircraft struck the landing strip hard. “Your instincts take over. 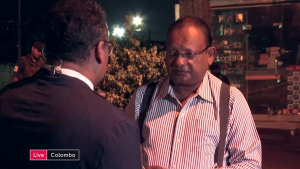 You don’t know what’s going on,” said Singh, who had his arm in a sling as he walked through the airport’s international terminal and told reporters he had suffered a fractured collar bone. “I’m very, very thankful to God,” he said. 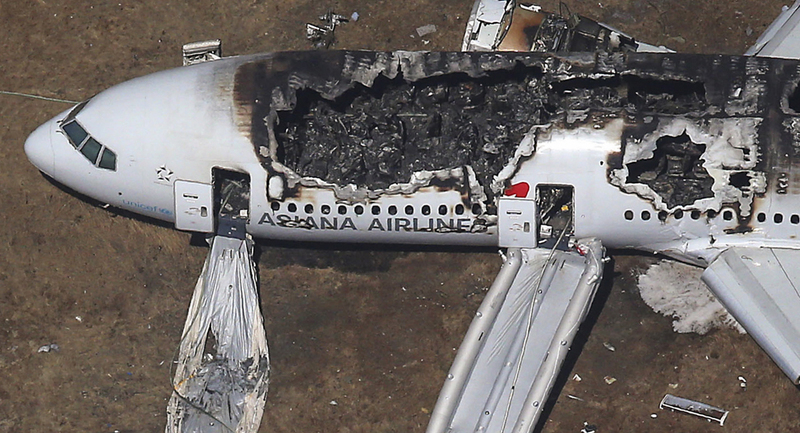 Asiana Airlines said the passengers included 141 Chinese, 77 South Koreans, 61 U.S. citizens and one Japanese citizen. It did not give the nationality of the others. The Asiana flight left Seoul at 5:04 p.m. Korean time and touched down in San Francisco at 11:28 a.m PDT, according to FlightAware, a website that tracks flights. 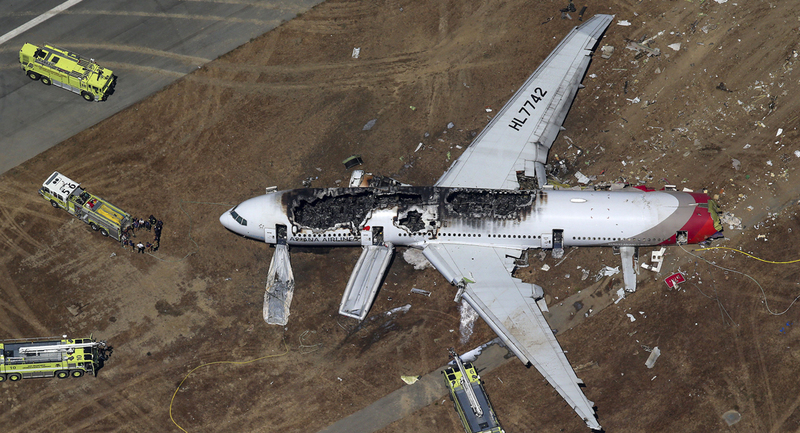 Asiana, South Korea’s junior carrier, has had two other fatal crashes in its 25-year history.United Technologies.